Definition at line 161 of file name-tree-iterator.hpp. Definition at line 108 of file name-tree-iterator.cpp. Definition at line 115 of file name-tree-iterator.cpp. 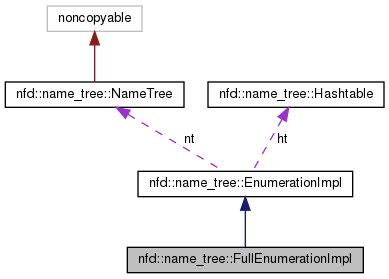 References nfd::name_tree::Hashtable::computeBucketIndex(), nfd::name_tree::Node::entry, nfd::name_tree::Hashtable::getBucket(), nfd::name_tree::Hashtable::getNBuckets(), nfd::name_tree::getNode(), nfd::name_tree::Node::hash, nfd::name_tree::EnumerationImpl::ht, and nfd::name_tree::Node::next.